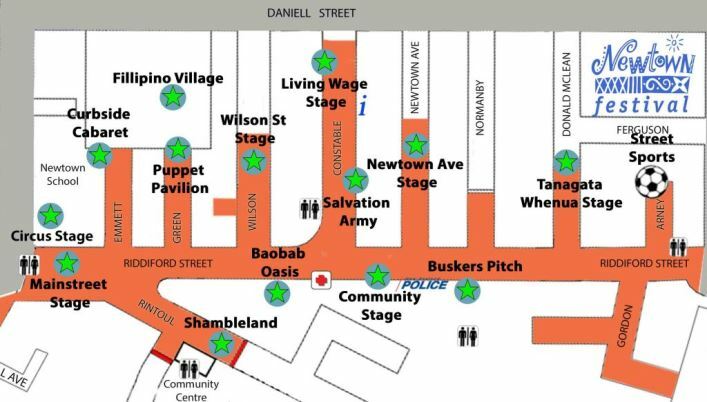 Come down to Arney St to take part in the wide range of street sports offered and take advantage of the expertise of professional coaches. Whether you want to have a go at parkour or work on your golf swing, there’s something for everyone to enjoy. 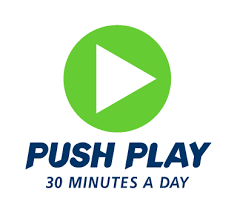 Push Play – The Push Play team will be out with fun equipment and exciting games to keep everyone active and entertained – even the adults. Parkour with the Kilbirnie Rec Centre – If you have a kid that won’t sit still or one who already practices Parkour around the playground then come along and have a go at balancing, jumping and tumbling. Streetball with Hoop Club Wellington – shot hoops and join in on some 3 on 3 games. 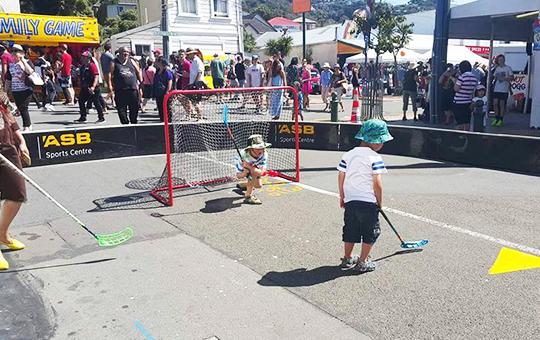 Floorball with Wellington Floorball – learn some cool indoor hockey skills. Volleyball with Capital City Volleyball – a fun sport for all ages. Golf with Values Coaching – try some fun golf skills.